Since her solo debut at the Tonhalle Zurich with the Zurich Chamber Orchestra at the age of 15, Sayaka Selina is considered one of the most exciting young artists to emerge from Switzerland. Sayaka Selina gained international recognition in 2012, when she played Thomas Demenga's Double Cello Concerto at the Piatigorsky Festival in Los Angeles alongside the composer and the Festival Orchestra under the baton of Hugh Wolff. Since then, concerts have led her through Germany, France, Italy, Great Britain, Spain, Japan, Korea, Denmark and Norway, where she performed in venues such as the Suntory Hall in Tokyo, the Kumho Hall in Seoul and the Tonhalle Zurich. 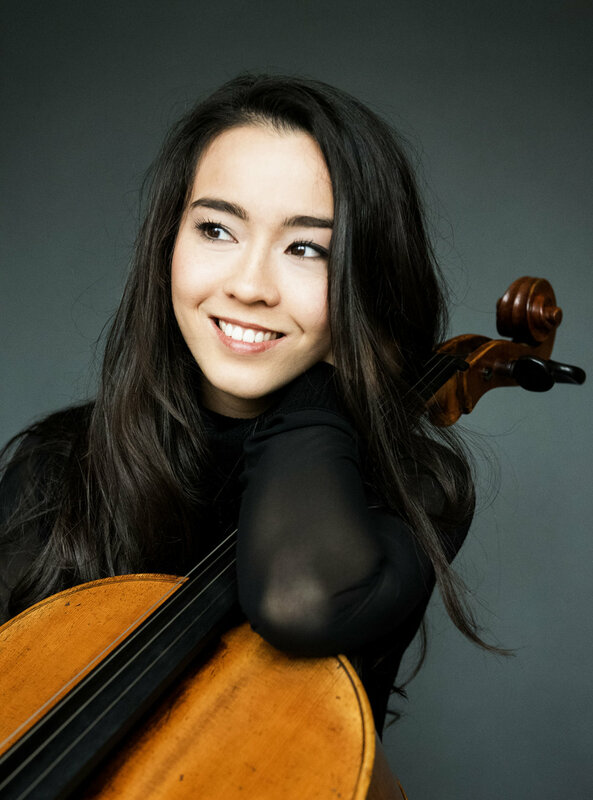 Born in Zurich, Sayaka started playing the cello at the age of 6 with Rebecca Firth. At 15, she was admitted to Thomas Demenga's studio at the Hochschule für Musik Basel, where she graduated with honours in 2011. She then went on to study with Frans Helmerson and Jérôme Pernoo, also receiving top marks for her Masters Degree. Other important musical advice came from personalities such as Steven Isserlis, Ralph Kirshbaum, Natalia Gutman, Miklós Perény, Natalia Shakhovskaya, Miriam Fried, Gerhard Schulz, Lars Anders Tomter, Leon Fleisher and Menahem Pressler. Sayaka is currently pursuing her Konzertexamen Degree at the renowned “Hanns Eisler” university in Berlin with Frans Helmerson. Sayaka is a frequent soloist with orchestras in Switzerland, such as the Zurich- and Basel Chamber Orchestras, the Zurich Camerata and the New Zurich Orchestra. In the 2017/2018 season, she is looking forward to performing Boccherinis Concerto in B major with the Camerata Zurich, as well as the premiere of a piece for violin, cello and string orchestra, written by Thomas Demenga for her and her sister, violinist Sumina Studer. An avid chamber musician, Sayaka has performed at Festivals such as the Santander-, Verbier- and Ravinia- and VivaCello Festivals, Sommets Musicaux de Gstaad, as well as Incontri Musicali Spoleto, the Norsjø Kammermusikkfest, and the Open Chamber Music Prussia Cove, where she worked with musicians such as Frans Helmerson, Thomas Demenga, Huw Watkins, Klaus Thunemann, and members of the Kuss Quartet, the Endemyon Ensemble, and Tecchler Trio amongst others. Sayaka has been awarded numerous prizes at national and international competitions such as the “Antonio Janigro” International Competition in Croatia, the Domenico Gabrielli Competition in Berlin, and most recently at the “Viva Hall” Cello Competition in Japan. She has been kindly supported by several foundations, such as the DAAD (German Academic Exchange Service), Migros Kulturprozent, the Yamaha-, and the Kiefer-Hablitzel Foundations.